Mercury is now moving in direct motion. So is Mars. Saturn will be very soon (September 6th). 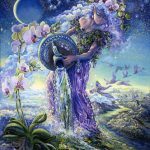 Last Sunday’s full Pisces Moon put an end to something old and frustrating – old habit patterns and their invisible energy source maybe. In its aftermath the remnants of what once undermined us are dissolving as we anticipate a clarifying Virgo new Moon on September 9th. 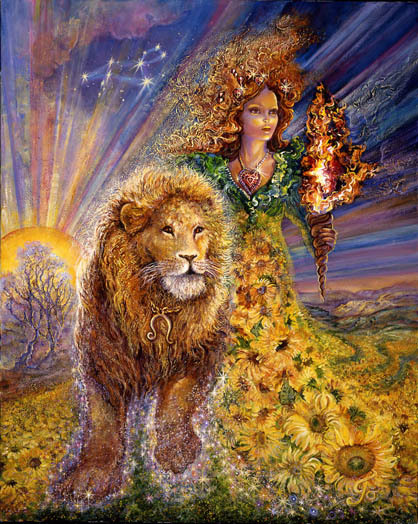 For the next few days Mercury in Leo is being challenged to adjust by an inconjunct aspect to Pluto (retrograde) in Capricorn. Leo doesn’t like to adjust. It can feel “beneath him.” But powers greater than himself are forcing the issue. In response he may be delivering some pretty dramatic (bombastic) statements designed to protect his dignity and enhance the power he feels slipping away. Inconjuncts can play out in awkward, embarassing ways especially when Pluto (the subconscious mind) is involved. A lack of self-awareness is especially treacherous when Pluto is involved. The things you say and how you say them may not align with what you intend to convey. Keep this in mind if you’re on the receiving end of a harsh or threatening statement coming from someone with a fragile ego. A powerful karmic thread runs through this aspect. It can do lots of long-term damage to reputations and obliterate any sense of self-respect. Think before you speak and consider the “source” if you’re hearing something absurd. 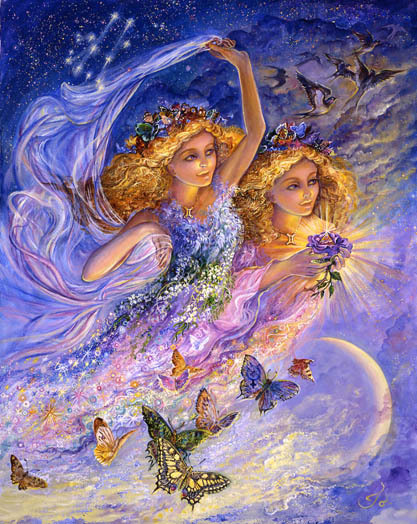 The asteroid goddesses are highly active this week – Ceres, Juno, Vesta, and Pallas. Nessus, Pholus, and Black Moon Lillith make their mark as well. Pallas in Taurus inconjuncts Pholus in Sagittarius. 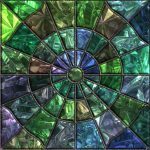 Old stubborn patterns you feel comfortable maintaining – possibly related to patterns of communication – make it difficult to keep the lid from coming off and blowing apart sources of love and joy. Keeping the firey passion burning or protecting your relationship to someone or something meaningful, is strained and awkward as you seek to sustain personal, stabilizining patterns. Adjustments need to be made. Something more flexible or something additional may need to be considered to sustain what you want to sustain. 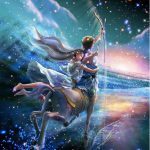 Mars in Capricorn, the traditional warrior, inconjuncts Pallas in Leo, the highly intelligent female warrior and strategist. 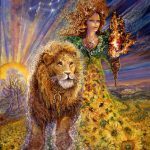 Pallas in Leo is prone to have an advantage because she’s able to attract more attention by instituting some highly creative long-term strategy. She can throw a more traditional warrior off balance. Pallas seems novel, current and cool while Mars seems a little behind the curve and bound to something old and outdated. His social supports are stronger, though, and that counts for a lot. Feminine realities comes into play. Oppressed groups are scrappier. They’re more practiced in finding creative ways to survive and thrive while the “masculine” counts on years of tradional advantage to prop them up. The combination feels odd and, once again, awkward. Overdoing or underestimating seems likely. The potential to get on the same page is hindered by lack of self-awareness and assumptions that may not be accurate. 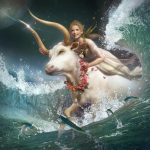 Venus in Libra, a combination famous for compromise and promoting peace is making an unusually strong statement for an unusually long time (through Dec. 2nd). But this week she inconjuncts Juno in Taurus. Have you noticed a theme? 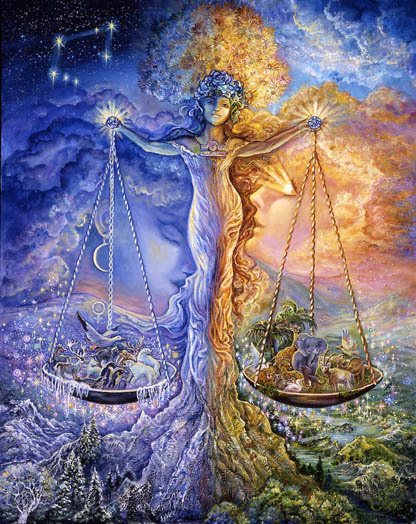 Venus in Libra represents justice, fairness, and a return to balance Juno in Taurus is a solid, stabilizing, bedrock commitment that is by nature inflexible. There is something very essential in need of protection. It makes Venus in Libra’s most natural way of being impossible. The solid but unjust underpinnings of an agreed upon contract force Venus into a position where compromise is not an option. Stubbornly standing her ground feels awkward when she’s so used to compromising to find common ground. She needs to adjust her approach to what is essentially non-negotiable for her. It feels odd and awkward. Ceres in Virgo squares (challenges) Pholus. Family relationships may have reached a pivotal turning point. After trying for years to “keep the lid on” it’s being blown off. And a cascade of change follows. Any small project designed to protect, defend, and nurture living things (animals included) may take off and become way more influential than originally intended – maybe the result of hitting a sensitive chord with the public. Black Moon Lillith in Aquarius (dangerous, unpredictable woman) is locked in a square (challenging aspect) to Uranus in Taurus. Both are determined and set in their ways. 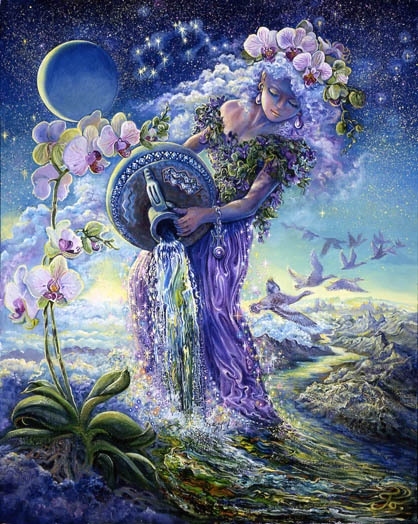 Uranus is dismantaling old foundations – including some Black Moon Lillith was used to holding onto for support. Lillith is frustrated by the “unstable nature” of the current social order and a lack of clarity. She wants to know for sure if you’re a “good guy” or a “bad guy.” Knowledge is the source of her power. That’s getting harder as a result of Uranus’s ongoing dismantling project. 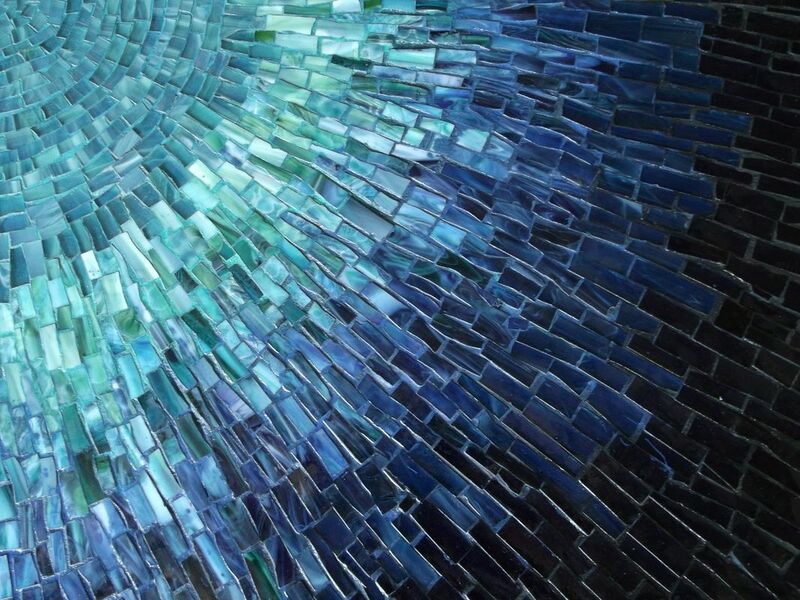 Something Aquarius used to rely on to function effectively (certain knowledge and clarity) is no longer there. A different approach to your social life may be required. Lastly, the Sun in Virgo opposes Nessus in Pisces. An old form of abuse and the imbalances it generated are being highlighted. This is an opportunity to recognize something insidious that wrecked havoc with a strong sense of self and inner confidence. It can all be fixed as dawning awareness materializes and your ability to say “no” is strengthened. 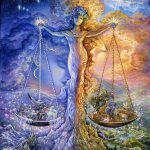 Energies involved are forcing an important re-balancing of the scales that changes your story and the nature of your future – especially within the realm of relationships. Mercury is nearing the end of it’s trek through Leo. Expect words to be more carefully chosen. Saturn is finalizing it’s retrograde phase next week. One last chance to address what needs to be addressed and to unload something heavy so you don’t have to carry it into the next cycle. With an intelligent strategy you have the means to outmaneuver the competition, to get what you want, and to put your personal stamp on the world. Essentially you’re holding the cards you need (or soon will be) to manifest what you were once prevented from manifesting. 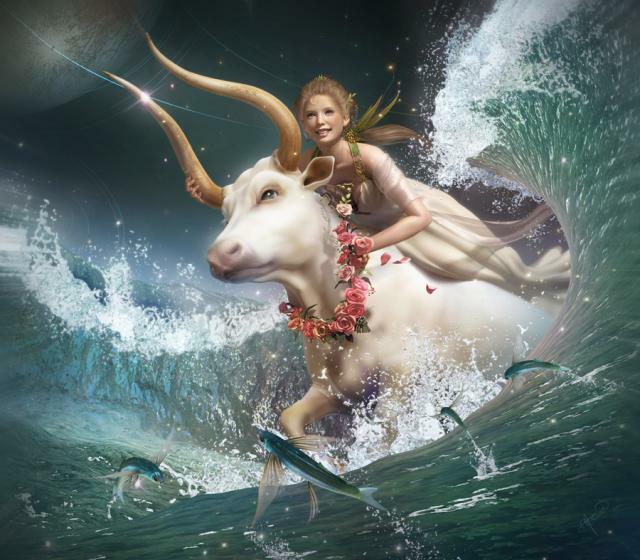 Mars, your chart ruler,is currently finishing it’s trek through the sign of Capricorn. Anything that solidifies your sense of authority and provides a place for you to operate independently and rebelliously would be good to set in place. Your strength as you start something new is a combination of expertise and authority and a willingness to “veer off the reservation.” To the extent you can emphasize that you are an “outsider” possessing traditional credentials within your field, you are advantaged. Embracing the “dangerous woman” archetype is a source of power and a means to distinguish yourself. It’s also fun. The nature of personal relationships and the need to get to the source of what throws them off balance is a focus for the next few months. Anything you can do to increase your awareness of the kinds of signals you convey, the implicit permission you give others through your actions, and how old wounds keep you at a distance from the success you crave, that would be timely and highly valuable information. 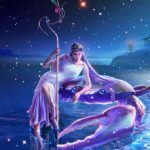 Venus is moving through an unusually long and complicated transit in the sign of Libra (balance), eventually moving into the sign of Scorpio, then back again into the sign of Libra, before finally moving on at the beginning of December. It’s likely you need this kind of time and this opportunity to undo and redo relationships and your role within them. Old commitments you once agreed to were most likely unbalanced from the outset in ways that cannot be changed without some fundamental change in the nature of how you relate to yourself. Getting to the source of why you agreed to what you agreed to in the first place is the opportunity you have to change and to do it all differently. Essentially you have to say no to what you’ve been used to saying yes to. And you might do that in-elegantly at first because it feels odd not to find a way to compromise what essentially can never be safely compromised. 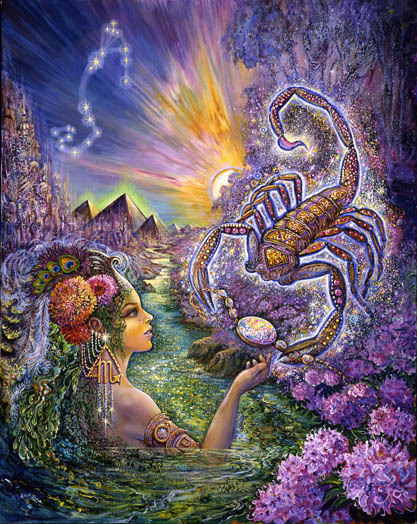 Mercury in Leo (pride in what you know, the way you convey it, and the creative brilliance of your ideas) is awkwardly placed in relation to Pluto in Capricorn (fear that is not necessarily conscious). Power struggles may consume you and the source of those need to be brought into your awareness. What you say and what you intend to convey may be misaligned in some way. It’s a source of frustration and misunderstanding, false impressions, and maybe blaming the victm. If your words feel more dramatic, forceful, or bombastic than usual, consider what it is your trying protect. The fear of being overpowered or extinguished altogether may be deeply embedded. It can interfere with your normal flow of ideas, your usual brilliance, your self-respect what is it you contribute to the conversation, and your reputation. This is a chance to become more self-aware. That requires some focused effort and maybe a request for feedback. The ultimate fix, by comparison, is probably relatively easy. The reward is a release of pent-up energy that can feed your amazing, creative mind. Venus in Libra, in the home of your essential, non-negotiable self, is awkwardly placed in relation to Juno, the commitment astroid in the sign of Taurus. Inflexible social contracts may be messing with further integration of your essential self, encouraging you to compromise when you should be setting limits. Or maybe you’re saying no but feeling the uncomfortable weight of guilt related to having to undo something you once agreed to. Libra is the source of your strength and ultimately your ability to stabilize yourself within balanced relationships – the relationship you have to yourself and others. But the people pleasing part of you wants to compromise and give a little. That is an advantage in most cases. You’re talented in being able to create win/wins when no one else can. Your challenge is to know when compromise is good and when it undermines the essential nature of who you are. Resisting social pressure may feel painful. The alternative, though, is being untethered from your essential self, a lack of self-respect, and ultimately damage to your reputation. It may be best for you to be clear from the outset (at least with yourself) that you cannot enter into social commitments that are inflexible. You may need more private, personal, alone time than usual. Connecting more closely to your artist roots seems critical. Pallas in Taurus inconjuncts Pholus in Sagittarius. Old stubborn patterns that feel necessary – possibly related to communication – make it difficult to keep the lid from coming off and blowing apart sources of love and joy. Keeping the fiery passion burning or protecting your relationship to someone or something meaningful, is strained and awkward as you seek to sustain stabilizining patterns. Adjustments need to be made. Something more flexible or something additional may need to be considered. Related is Mercury’s uncomfprtable relationship to Pluto. Something subconscious and maybe deeply embedded is at the root of a lack of spontaneity or easy flow. What you intend to communicate and what you actually communicate may be two different things. Again you need to make the necessary adjustments. Maybe you need some help in defining an invisible source of fear. It’s a perfect time to get that help. Ceres in Virgo squares Pholus. Pholus is under lots of pressure. Family relationships may have reached a pivotal turning point. After trying for years to “keep the lid on” it may be blown off. A cascade of change follows. Any project designed to protect, defend, and nurture living things (animals included) may take off and become way more influential than originally intended. It could take on a life of its own. 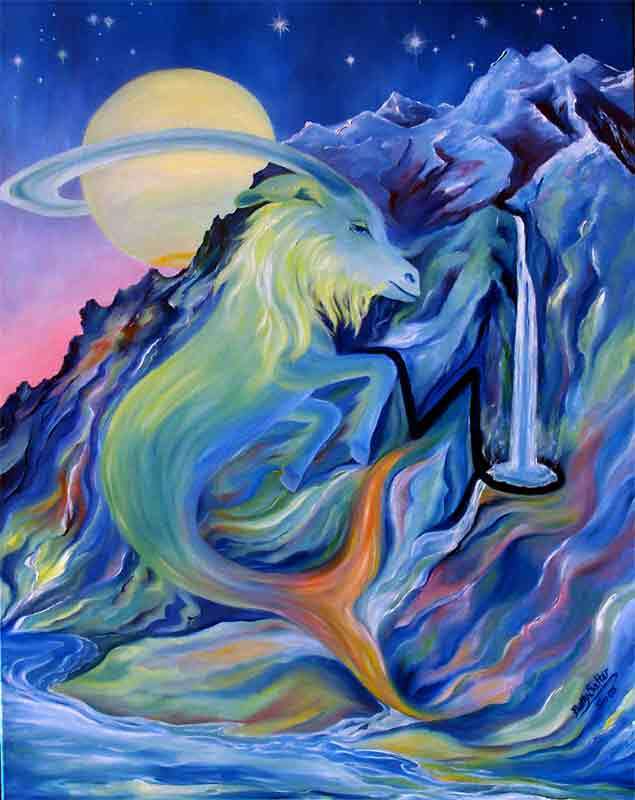 The Sun in Virgo opposes Nessus in Pisces. An old form of abuse and the imbalances it generated are being highlighted. This is an opportunity to recognize something insidious that wrecks havoc with a strong sense of self and inner confidence. It can all be fixed as dawning awareness materializes and your ability to say “no” is strengthened. 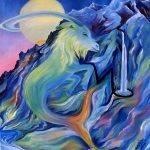 The energies involved are forcing an important re-balancing of the scales that changes your future – especially within the realm of relationships. Your subconscious mind is highly active at the moment. All kinds of awkward conflict may be surfacing. Black Moon Lillith is a key player. It’s time for an answer to the question “what is it that I want to do with the power that I have.” There are basically two alternatives. You can use it to emotionally and intellectually overwhelm any one who opposes or interferes with your plans. Or you can dedicate that ability to a cause that’s worthy of the amount of power you’re capable of weilding. Pettiness vs something meaningful comes into play. The energy you use to win fear-driven power struggles needs to be re-directed. Hovering in a very sensitive area of your solar chart is Ceres. Currently Ceres in Virgo squares (challenges) Pholus. Family communications may have reached a pivotal turning point. 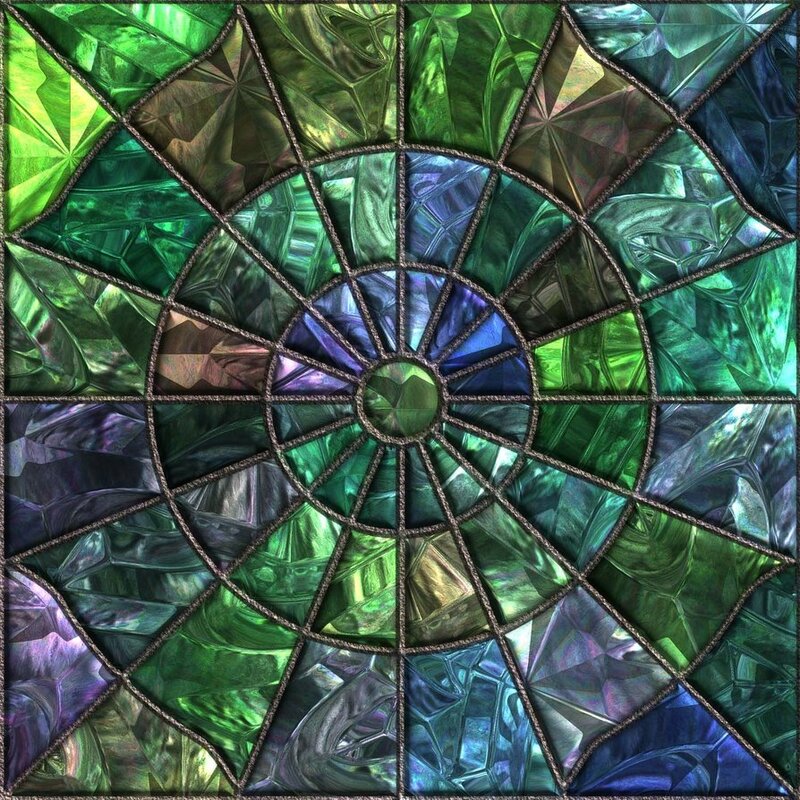 After trying for years to “keep the lid on” it’s in danger of being blown off releasing a cascade of energies and events that ultimately change the trajectory of your life – and your perspective. If you’re a spokesperson for the protection and defense of living things (animals included) your cause may take off and become way more influential than originally intended – maybe the result of hitting a chord with the public. 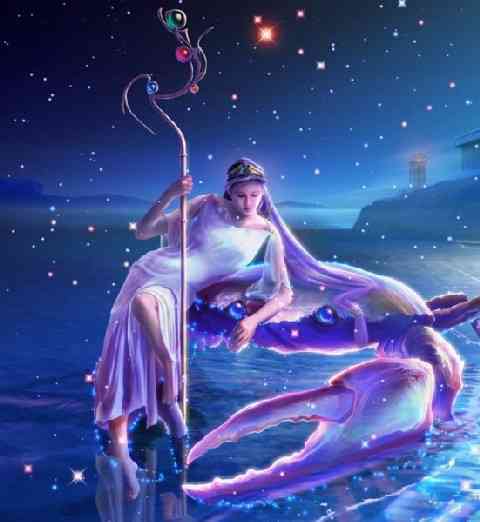 Venus in Libra is in the process of an exceptionally long trek through its home sign through December 2nd. It seems the universe feels it’s time to finally bring relationships into balance. Stabilizing agreements may need to be renegotiated and this may feel awkward. Or maybe an areement to compromise your home, your place of residence, or your essential self needs to be undone and reconfigured. It’s all pretty disturbing at deeper levels of your being – but unavoidable. The universe is giving you three months to get this done. It usually allows only one month. That might give you an idea of how important this challenge is. Mars is nearing the end of his transit through the sign of Capricorn. A couple more weeks to go to before it will be time to make a break for freedom within the realm of communication. You have something important to say. Where you live seems critical to your success. Currently Mercury in Leo in your 10th house of achievement is inconjuncting Pluto in your 3rd house of communication. There is something deeply rooted and maybe subconscious that needs to be revealed. Maybe it’s fear related to telling the truth, to saying what you have to say, or feeling competent to convey what you have to convey in a pure form. Excuses and delays need to be recognized for what they are. 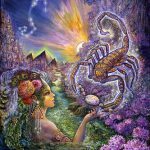 Maybe the optimal time to get clear about the past and your fear will be around September 12th when Mars moves into your fourth house of deep roots and what you inherited from family influences. A cloud of fear may have hung over your early experiences – fear of naming some bizarre but important truth. For the sake of achieving what you want to achieve it’s almost time separate yourself from that. Jupiter in your 12th house may be revealing some uncomfortable personal truths that are directly related to the style and approach to life you’ve adopted since October of 2017. It may be more a more solitary, intospective, and/or invisibly controlling scene than you’re used to. Issues regarding your home, family, and roots may be assisting you in recognizing a fear of losing control over your future, your freedom, your physical health, and enthusiastic engagement with life. A reconnection with your soul is your current mission. 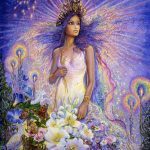 You have from now until November 9th to integrate into your life a new beginning, your soul’s primary desire, and to provide the kind of environment that will spiritually nurture you. Practical financial needs may need to be taken into consideration. Communication about fnancial issues and financial control may be awkward. Some kind of adjustment is implied. A subconscious or carefully disguised fear needs to be brought to the surface and shared with those who maintain some control over your financial future. Old wounds are revived as Saturn, still retrograde, takes you back to what has yet to be healed, resolved, or fully integrated. An old wound involving homes, housing, the past, (or family related issues), may continue to influence your style and approach to life. What happens between now and September 5th may be especialy important in changing the entire plot-line of your story. Your mom may be the integral influence over an impending change. It appears she’ll guide you or may show you the way to connect with a cause larger than yourself – how to protect, defend, and nurture something that would otherwise be left defenseless. She may be the channel that informs you ahead of time of the future direcion of your life. Themes of abuse seem connected to where you’re headed – abuse you suffered personally, witnessed, or perpetrated. It’s all very mysterious and at the same time makes perfect sense. A new beginning is emerging. A distantly familiar passion marinates beneath the surface. It will surface on September 18th. By then you’ll recognize the outline of what ignites your passion and devotion. The Sun is currently placed in your 8th solar house igniting old, sensitive, psychological mine fields, testing your ability to keep yoursef stabilized, tuned in, and somewhat sane. Abuse and betrayal (maybe from the distant past) is part of the commotion that’s been brewing beneath the surface. A deep dive into dark, sensitive territory to highlight an important underlying truth is facilitated and rewarded. 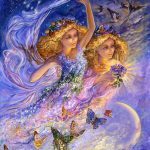 You may now be successful in making some life-changing progress in the direction of a more empowered approach. Expect the inner commotion to continue, though. There’s more to unravel.. But it doesn’t have to be heavy and morbid.. You’ll move through it whether your approach is dead serious or light-hearted and playful. I suggest you lean in the direction of making it more fun. The Sun, even when transiting through 8th house territory, is never joyless. 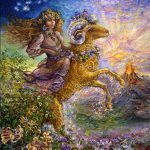 She can be an adult and highly practical in the sign of Virgo but it doesn’t take much to return her to her childlike playful roots. Why make this harder than it needs to be? For inspiration imagine Black Moon Lillith refusing to comply with an adult-like agenda and causing a joyful commotion of her own. 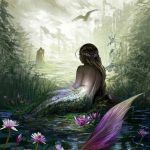 Black Moon Lillith is Pisces main player this week. She’s pulling the strings behind the scenes whether or not you approve. She may be stimulating another’s interest in you, or a whole cast of characters interest in you. People are nmore curious about you, your life, who you are, what you offer, and mostly what’s going on beneath the surface that you’re currently unwilling to reveal. They sense there is some contradiction – something at odds with the gentleness you portray. They sense Black Moon and feel somewhat anxious because Lillith can put out a somewhat “dangerous”, unpredictable vibe. But for the most part it just seems to be making you more interesting and exciting – and more mysterious. Still it’s wise to put your best foot forward even as Black Moon kicks up some chaos in the deepest recesses of your mind and heart. You are more rebellious and subversive than you appear. Maybe it’s ok to show some of that through your work or through what you say. Maybe it’s time to get comfortable with something more enlightened and futuristic. Just know that others are paying attention and use it as an opportunity.